Don’t tackle your next outdoor adventure with just any trailer. Instead, hook up a new OutBack DLX light-duty trailer and ensure your contents get top-of-the-line hauling. 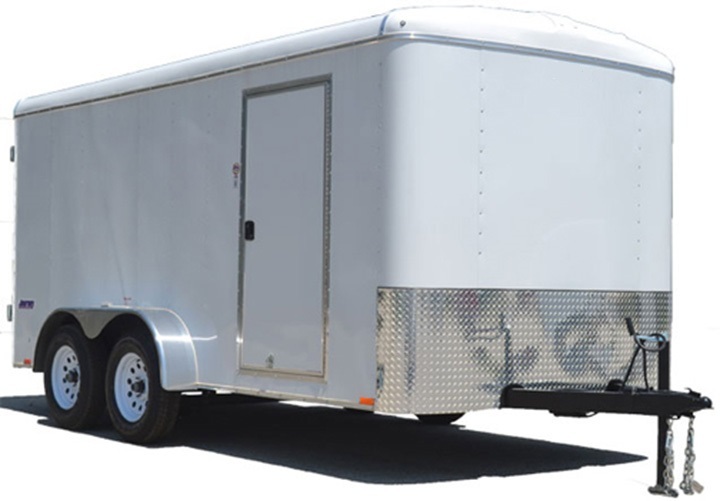 Featuring body widths of 5-, 6- and 7’, this trailer is capable of traveling where you want, however you want. The OutBack DLX models are as deluxe as they come, featuring an aluminum exterior, one-piece aluminum roof, ATP fenders and a 16” stoneguard for lightweight hauling that doesn’t sacrifice safety or strength. And, with a payload capacity of 1,975-lbs on just the 5x8 enclosed trailer, you’ll have all the performance you need for work or play. The sturdy aluminum shell is built on 24” O.C. frame, sidewall and roof bows to provide maximum bumpy-road protection, while the automotive undercoating and moisture barrier (select regions) ensure these trailers protect their contents for years to come. With plenty of standard features, like spring axles, 15” tires, a wedge nose and an interior wall liner, you’ll notice the Pace American difference on this light-duty trailer the moment you hit the road.